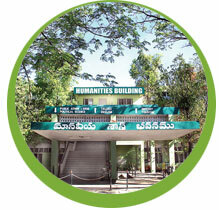 Established in 1968, it has now grown into a full fledged department offering M.A. Course in Public Administration. The department designed and introduced Human Resource Management course that reflects the emerging thrust area. The Department had offered P.G. Diploma Courses in Office Management, Personnel Management and Industrial Relations and Rural Development in the past. The UGC has sanctioned SAP for five years on "Gender and Agrarian Reforms" . Five teachers of the department were honoured with Best Teacher Awards by the State Government. It has so far guided 58 Ph.D. scholars and 70 M.Phil scholars for their respective degrees. It brings out the KU Journal of Social Studies.The Department has undertaken 30 major and minor research projects sponsored by different agencies and published fifty books. The Department had been providing academic and administrative leadership to the University since its inception.